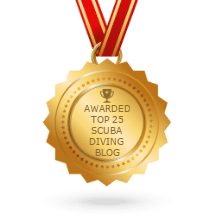 In diving, looking at the more experienced divers and learning from them, learning from their prior experiences and the mistakes that they have made on the way is always a great way to improve your own diving techniques. Unfortunately some of our divers today have taken to learning from some of Aquability’s Trimix divers and therefore chose to go to breakfast in preference to doing a second dive. What a great dive they missed, the shot line was at the bow and this allowed us to swim the full length of the sub. Taking in all of the features of this site, Bow Ring, Torpedo Tubes, Conning Tower, Periscope Casing, Hatches, Cleats & Vents etc.